On July 7, 2017, Circular Energy received a grant from the Topsector Energie, together with Energy Delta Institute, PZEM (Provinciale Zeeuwse Energie Maatschappij) and eRisk Group. The amount is granted under the System Integration Program on the North Sea which focuses on combining offshore resources like oil, gas and renewables. 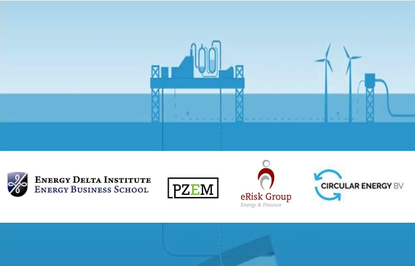 The concept of Circular Energy can reduce the cost of wind at sea, including by filling in the undercutting of the cable capacity caused by irregular wind energy production. The consortium will investigate the best way to produce and sell a this specific CO2-free electricity flow from North Sea gas.